You are looking at the centerpiece of an abondened movie set (Contrabando) which was built in 1985 for the filming of the comedy Uphill All The Way. That was just the first of nine movies made here. 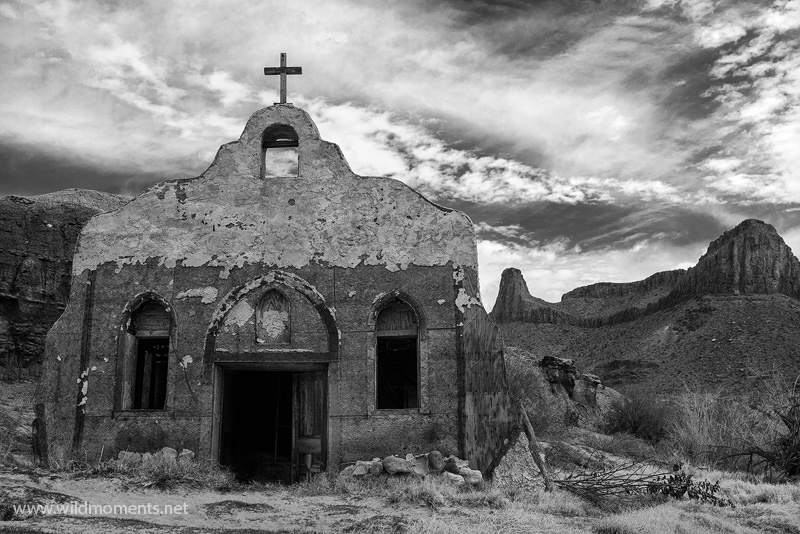 Most people believe this church will someday be destroyed by a flooding of the Rio Grande River, which flows approximately 30 feet behind where this picture was captured.